The following account of Witch trials at Logie-Coldstone, although not involving Glenbuchat, are near enough to expect that the same situation existed in the Glen as well. We come next to a subject with which the heritors and elders of most parishes in the county had much to do the with trial of witches. Some parishes were more vexed with these creatures than others. Lumphanan seems to have been particularly infested with them. The king (James VI) had a great horror of them, and ordered the Church to prosecute them even to the death with all diligence. He granted commissions in favour of the provost and bailies of Aberdeen and the sheriff of the county for the purpose of holding courts for the trial of witches and sorcerers, and sent commissioners to every parish with orders to the minister and elders to examine all persons suspected of witchcraft, and to give up a dittay or accusation against them.
" There can be no doubt that these unhappy wretches made use of the threats of which they were accused, and vaunted and even believed that they were possessed of power sufficient to carry them into effect; in fact, that they performed the cantrippis ' and charms mentioned in the trials. "(Cantrip - a witch's spell or trick) In short, if they were not real witches, it was no fault of theirs.
" To my were guid lord and maister, my lord the Erll off Huntlye." " At the Kirk of Coldstone, the 10th of April 1597. In presence of Patrik Forbess oif Pittallochie ; Jhonne Forbess, in Mylne off Melgoune ; Arthour Skene off Tulloche ; Alexander Forbess in Dawanche; George Forbess in Melgoune; Alexander Forbess ther ; William Forbess in Kinnaldie ; Thomas Emislie, in Litle Grodie ; William Reid, in Coldstone; Jonne Tun, in Balymoir, all elderis off the perroche of Coldstone ; the which day being charged by John Coutts, messenger at arms in our Sovereign Lords name, by a commission given and granted to the sheriffs, provost and baillies of Aberdeen to give up dittay (accusation) upon all suspected persons of witchcraft ; for obedience whereof we have convened at the Kirk of Coldstone, and taken such trial as we find upon Katherine Ferusche's dittay, given up by the elders before named. Item she being in James Lakies's house used the Devil's sorceries, the space of eight years bygone, a man, called Alexandr Welche, came into the house upon whom thou cast thy sorcery and he died. Item likewise thy own son confessed, at his death in Aberdeen, that thou had promised him, by information of the Devil, that his blood should never be drawn, and this he confessed before he was hanged. Item suchlike, thy son and thou discorded, and thou said it should be his best day that ever he should live. Item, suchlike, thoucast upon Robert Fyiff's wife such devilrie, whereof thou was taken and holden two days bound by the same man, until thou took it off, and thou made her free therefrom. Item, such- like, George Rychie being sick thou came to look at him, and promised to his mother to take off the sickness, and thou laid it on his sister, whereof she died thereafter. Item, when thou and the good wife of the Bogg being in the house of the Bog, thou delivered to her a tablet, making devilry and sorcery and told her to keep that tablet and hang it about her daughters* necks, aye, and until they. were married. Item, then thou delivered to her a ring, and she has the same both together hanging yet. Item, then the said Elspet Forbess, good wife of Bogg, sent to William Forbess, Scheill, being six miles off, and bewitched his oxen, going in his plough, whereof there died three that year. Item, suchlike, Spaldairg confessed at her being put off (hanged) that she and Trachak received a hundred merk from the good wife of Bogg to make witchcraft, to cut away William Forbess's com every year. Item, suchlike, the said Elspet Forbess of Bogg received a belt from Spaldairg, and the said Spaldairg told her, in case that belt wore away bearded men should greet, and there was a spirit in that belt that spoke and whosoever would putit about them the Devil should take them. Item, suchlike, the said Elspet Forbess caused her own husband to bring sorcery out of Cloak (Glenmillan, in Lumphanan) between his shoulders, which was his own death, and the mark was red where it lay as long as he lived, and broke out continually and turned black till he died, and he cryit ay to straik it wi' reme for the bimin. Katherine Ferusche suffered at the stake at Aberdeen a few weeks after, as is recorded in the Burgh Records. Very few indeed were acquitted, but the following minute gives an example of one. Minute of Meeting at the Kirk of Logie- in-Mar. The 10th and 17th days of April, at the Kirk of Logie-Mar, 1597 years.
" The which day in the assembly of the elders within the said kirk with advice and concurrence of various other honest and capable persons, parishioners and others dwelling near the said parish. The names of the elders are Jhone Gordoun of Blelak : James Gordoun, in Broymhill ; James Boss, in Logye ; George Glas, in Ballnistraid ; George Masoun, in Over Ruthvane ; Villiam Cowtis and George Makcomye, in Nether Ruthvan ; Jhone Blak, in Corrachrie ; quha being convenit, with concurrence of James Gordoun of Pronny ; Alexander Gordoun, in Kenmaris ; Alexander Smith, in Ballnistraid ; Donald Barrie, Allan C Jowttis, Auchan Glass, in Over Ruthvane: Villiam Gordoun, John and Alexander Makcomeis, Villiam Gillanderis and Villiam Vischart, in Nether Ruth van ; Jhone Tumour, in Carrow ; Thome Mechell, in Vester Blelak ; Robert Fyf , at the Miln thair ; James Ross, Villiam Gig, and Duncan Fyf, and Robert Mill, in Corrachry. The said elders and forenamed persons being also charged by John Coutts, messenger-at-arms, in our Sovereign Lord's name, by virtue of a commission obtained by him from the sheriff, provost, and baillies of Aberdeen, directed to the ministers and elders for trial, delation, and up- taking of dittay upon all persons reported on or suspected of witchcraft within the said parish in general, and in especial touching the trial, life, and conversation of Thomas Ego and Bessie Paul, in Graystane, and Beak Tawis, at the Bumsyd of Logy, who are already attached for the same crime of witchcraft. The said elders and others forenamed, being sworn the great oath to give up dittay faithful and true according to their knowledge, and being severally examined thereanent, depone by their conscience and oaths that neither of them knows any of the foresaid persons already accused, nor others within the said parish, criminal in any point of witchcraft, as far as they know. And in respect that none of the said elders could write, they have desired me to subscribe these presents and testimonials in their names at the Kirk of Logiemar, day, year, and place foresaid. "George Gordoun, reder at Logy, with my hand. On the 26th August 1580, John Gordon of Blelack and others carried off James Mortimer, "apperand of Craigievar, and detained him captive and prisoner in the wood of Kilblene for ten days," for which they were afterwards brought to trial. About 1590, Gradoch, a reputed witch in Coldstane, "took in hand to haif destroyit the Laird of Craigievar, his son, and utheris," for which, and many other like crimes, she suffered death. [Pitcairn's Crim. Trials, Vol. i. pp. 94, 208,] A few years after, in 1596-97, an active inquiry for witches was instituted all over this district. Commissioners at Aberdeen were appointed by his Majesty, for "tacking and apprehending of witches, sorceraris, consultaris, and traffiquaris with witches," who directed precepts "to all and sindrie ministeris of Godis word, elderis, and deaconis," charging them "to convein and tak up dittay" against all suspected persons in their parishes; "the quhilk persones being delaittit as said is," these commissioners could "do na less for the advancement of Godis glory, and dounethraw of the kingdome of sathan, then to put tham to the knawledge of ane condigne assize." [Spalding Club Miscellany, Vol. i. Trials for Witchcraft, pp. 83-193.] In 1620, William Ga-rioche, son of James Garioche of Kinstair, and Thomas Anderson in Awfurd, were tried for "carrying John Bonar, in Tullichetlie, twa myles to the water of Lochell, and douking him dyverse tymes thairin, and compelling him to yield to the furnissing of 500 merks money." [Pitcairn, Vol. iii. pp. 489-90.] In February 1636, seven of the followers of Gilderoy, who were "notorious limmers, and did great oppressions in the lands of Corse, Craigievar, and other parts, were taken in Athol, by persuasion and advice of the Laird of Craigievar and Corse, and hanged altogether at the Cross of Edinburgh, and their heads cut off, and set up in exemplary places." In July after, their leader, "and five other limmers," shared the same fate ; and on the 8th August 1638, in revenge of Gilderoy's death, a band of freebooters " came to the Laird of Corse his bounds, and spulzied the ground, and Mr Thomas Forbes, minister at Lochell's House, and oppressed the King's lieges grievously, taking their horse, kine, and oxen, and causing the owners pay for their own gear." In April 1644, "the Laird of Craigievar takes to Craigievar, and transports his haill victuals of Fintray to the place there, to be kept from plundering." In 1745, Harry Lums-den of Cushnie, George Gordon of Hallhead, and Jonathan Forbes of Brux, all took the side of Prince Charles. In July 1746, the Duke of Cumberland granted a lease during pleasure of the lands of Essilmont and Hallhead, belonging to George Gordon, to James Chalmers, printer in Aberdeen; and his house in Aberdeen was plundered by the Duke and General Hawley. Another connexion between Margaret Fleming and the Devil may be found in Agnes, Countess of Erroll, her niece by marriage, whose stepson, Francis, 9th Earl of Erroll, married Margaret's daughter Mary. Agnes (then the wife of Alexander Gordon of Strathdon, son of George, 5th Earl of Huntly) was brought to trial on 29 May 1596 on a charge of "resetting and inter-communing with Francis, Earl of Bothwell." Witchcraft. — This superstition took its rise in the East, and at an early period of the world's history. It was regarded as the power of magical incantation through the agency of evil spirits. From an early era, it was pursued as a trade by crafty wretches, who played upon the weakness of their fellow-creatures. Laws were passed against it. Many wretches were tortured in order to confess to it; and, to avoid these preliminary horrors, hundreds confessed all that they were accused of, and were forthwith led to execution. It has been calculated that, from the date of Pope Innocent's bull in 1484 to the final extinction of these persecutions, no fewer than 100,000 were put to death in Germany alone. Witchcraft was first denounced in England in 1541, in the reign of Henry VIII. Previous to that time, however, many witch trials had taken place, and severe punishments were inflicted. We are all familiar with the fearful account of the witches near Forres, in the tragedy of Macbeth. 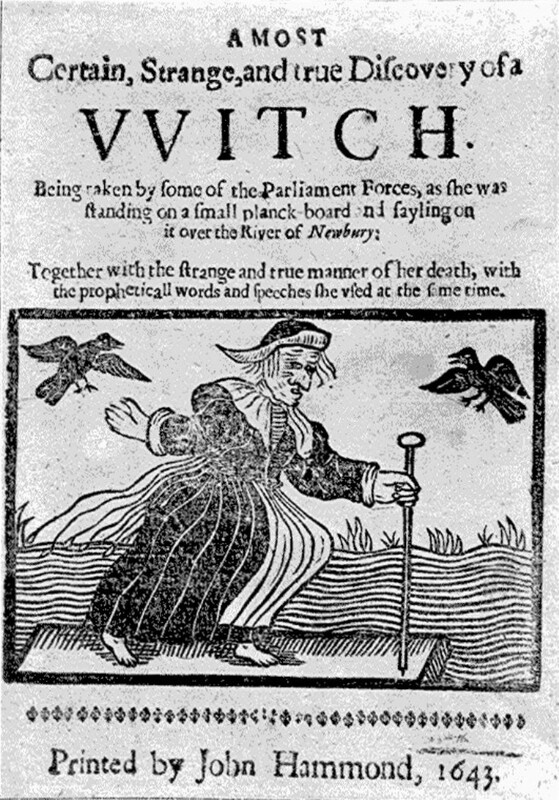 Queen Elizabeth, in 1562, directed a statute exclusively against witchcraft. Many sad incidents are on record of the effects of this statute. Gift ye will not go before, Cummer, let me. A belief in witchcraft lingered for a considerable time among the educated classes in Scotland. " The last execution of a Scottish witch," says Mr. Kirkpatrick Sharpe, " took place in Sutherland, a.d. 1722, the sentence having been pronounced by the sheriff depute Colonel David Ross, of Little Dean. The old woman belonged to the parish of Loth, and, among other crimes, was accused of having ridden upon her own daughter, transformed into a pony and shod by the devil, which made the girl ever after lame both in hands and feet, a misfortune entailed upon her son, who was alive of late years. The grandmother was executed at Doroch ; and it is said that, after being brought out to execution, the weather proving very severe, she sat composedly warming herself by the fire prepared to consume her, while the other instruments of death were making ready."